At G.R.J.P.S. we are proud to offer a curriculum that caters to the individual needs of students. It is innovative, flexible, and incorporates the rigor and academic quality that we believe education should strive for. The curriculum aims to develop the 21st century skills of self learning and communication. 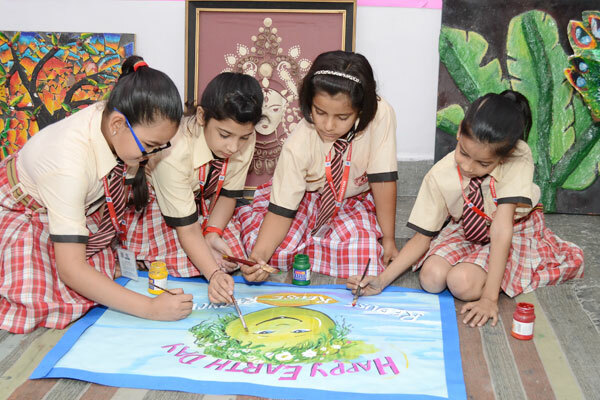 Students enjoy a well rounded educational programme that challenges and stimulates them up to explore their abilities within a safe learning environment and ensures every child emerges a winner. To use and apply mathematical skills and scientific aptitude in a variety of situations within and out of school.